oProtein content calculated on the correct EU labelling directive of Nitrogen x 0.25 which provides an accurate conversion factor of protein consumed on an 'as-is' basis. Lean gains are made throughout the day and that's the approach you should take when consuming quality protein, it needs to be constant and consistent, don't take short cuts. 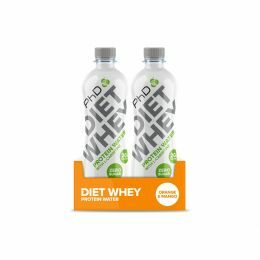 Whey Isolate tastes great so can be mixed simply in water by adding 1 scoop into 200ml of water and mixing in a PhD shaker cup. 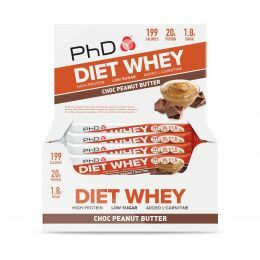 Whey Isolate can also be used for baking and cooking but the fact it is so pure and the fat and lactose have been virtually entirely removed, it makes baking more of a challenge. So instead of this why not make your own lean Whey smoothie by adding 200ml of almond milk to a blender, 1 scoop of PhD Whey Isolate, 2 table spoons of zero fat green yoghurt, a few handfuls of frozen mixed berries and start your day with a Whey-infused bang!